This is a follow up blog to the debate I hosted for @UKPastoralChat on Wednesday 2 May 2018, recorded here. I posted an introductory blog here prior to the event. I am grateful to @MattGovernor for affording me the opportunity to use the #UKPastoralChat platform in this way, and to the many people who gave up their time to participate. This has proved to be an extremely difficult blog to write. I was quite deliberate in selecting the two questions that I did select. My response to both questions was lengthy and deliberately provocative. In my answers I unequivocally state my personal viewpoint. Maybe political leaning, too? Education and politics is inextricably linked is it not? I think so. Given that the platform for this debate was #UKpastoralchat and its focus is wellbeing, I hoped to draw on two issues; 1. the apparent increase (crisis?) in young people struggling with mental health issues, and 2. academic and/or personal growth. On mental health, there are those who question any idea of crisis, suggesting there is no confirming evidence. I will nail my colours to the mast here by saying that, for me, such a stance brings to mind the story of Thomas and his insistence on seeing and feeling the wounds suffered by Jesus on the cross. I listen to friends, parents/carers and school communities, fellow professionals, and witness the torment felt by so many people (young and old) trying to negotiate their own realities. At the very least, in my view, it is something that calls for immediate attention in our schools, in our communities generally, and in society at large. Twenty five years ago, Marshall Berman wrote this. Overly dramatic? Troubling? Makes you pause for thought though, eh? I admit to no little nervousness around pulling on data at this point. I find that I am developing an ever increasing – I think, healthy – criticality around Knowledge, Knowers, and Knowledge production. That has got to be good hasn’t it? Is ‘Good’ good? How often do we hear beleaguered colleagues in other schools talk of “the data” as a problem as inspections convert to a second day or because things are not going well and battle lines have been drawn. I raise a question: What weighting, if any, attaches itself to personal rather than academic growth/progress in “the data”? And then, if a leader’s school is judged to be less than good where does their ‘improvement’ focus lie? Indeed, if borderline ‘good’, where does the ‘improvement’ focus lie? My specific interest and the projected theme of the debate aired on #UKpastoralchat was Family-School-Community partnership and agentic position. I queried this by floating role suggestions such as: parents as consumers? schools as fixers? school and families as allies? partners? friends? For sure, parents are encouraged to be discerning when ‘selecting’ a school for their children, and are signposted to useful information sources. School Ofsted reports and judgements being one such source. As we well know, of course, parents like to visit the school site itself. My experience, in the schools I have had the privilege to teach and lead in, is that parents/carers are very insightful. My experience in headship is that visiting parents will look you in the eye and seek a sense of your values; all the while looking for assurances, scanning for evidence on the customary tour that what you say stacks up. On the issue of wellbeing, and mental health in particular… In August 2017, the DfE published Supporting Mental Health in Schools and Colleges, a quantitative survey, with a sample size of 6,907 institutions. They reported on ‘parental engagement’ thus. In the state sector, secondary schools were more likely than primary schools to provide information for parents and caregivers about supporting children and young person’s mental health (47% vs. 33%), and about mental health provision in the school (40% vs. 31%). They were also more likely to provide mental health support for pupils that included parents and caregivers (62% vs. 57%). In contrast, primary schools were more likely to offer one-to-one support such as counselling for parents and caregivers themselves (50% vs. 36%). Colleges appeared less likely than other types of institution to seek to engage parents in promoting positive mental health. Around a fifth of colleges (18%) employed none of the above named parental engagement approaches. This is likely to be due to the older age of college pupils. However, this finding is indicative only, as colleges (and other institutions) may have sought to involve parents and caregivers in ways other than those listed in the questionnaire. Is this a picture you recognise? Is this your reality? To mark Children’s Mental Health Week 5-11 February 2018, Place2Be published Providing Mental Health Support in UK Schools with partners, the British Association for Counselling & Psychotherapy (BACP), the UK Council for Psychotherapy (UKCP) and the NAHT. The report aimed to provide a clear view of the challenges and opportunities facing both schools and mental health professionals in the UK today. A survey conducted September-October 2017 included 655 responses from school leaders; almost two thirds from primary settings. The report makes for interesting reading. I am going to pull out two of the findings to illustrate a point here. 90% of school leaders cited ‘financial constraints’ as being a barrier to putting in place a counsellor or therapist to support pupils’ mental health in school. 93% of the schools providing counselling services used their own budget to fund this provision, making them effectively the commissioners of the service. I figure that this will ring true with so many of you. I have had those conversations too. Parents in despair. Despairing in the reality of their particular situation. Desperately looking for help in supporting their child. And then finding that they feature as just another family name on an ever lengthening ‘waiting list’; whether that waited for provision be internally or externally provided. We live in an age of surveys. The problem is that surveys don’t work for social change. Rabbi Frimmer suggests that surveys will never be able to reproduce the feelings and the emotions and the sense of connection that people receive when you sit together and listen to people telling their stories. “Surveys are not stories.” Stories remind us that what we think are deeply personal, private issues are in fact shared public concerns. Imagine, Frimmer says, if we began to work on any of these shared issues together. I explore this issue further here. Sound familiar? How does this match your own experience? Some of you, from both sides of the fence? I have been there. I have removed a child of mine from a school and placed them elsewhere. Consider the many voices on Twitter, alone, that speak of battling the system in SEN-related issues, still. Often we hear of family and school fighting that fight together. I have been there too, as a head. Often. Very often. All too often. Returning to where I started and my detection of the angst that coloured participant contributions and my failure to draw any clarity in the form of neatly packaged and discussed themes shared during #UKpastoralchat. I had anticipated some discussion on agency and roles and that did happen. For me, the angst I speak of belies raw frustration and anxiety around an issue that we school professionals are deeply uncomfortable with and reluctant to shy away from. We are not very good around ‘Whose job is it anyway? type questions are we? Why? Because we never lose sight of that young person in the middle. Further, we find it impossible to deny families the time and support they ask of us. Drawing on the work of Antonio Gramsci, Grace (1994) has defined complex hope as ‘an optimism of the will that recognises the historical and structural difficulties which need to be overcome’. It seems to me that complex hope needs to be encouraged when, perhaps, naïve and simple hope is what too often dominates when social justice matters get discussed in the education policy arena. Something that I have likely been ‘guilty’ of many a time? Blogging is a wonderfully liberating experience. I would add, though, that I do so with serious intent. For, all too often, when we scratch the surface, when we stop to listen, really listen, we discover that neatly constructed charts and surveys often cover up a multitude of sins and hurts. I say this is a complex issue that requires us to extend the concept of complex hope to partnership for social justice. Hope and community building are intimately related; that we cultivate hope in part through creating, enhancing, and sustaining relationships with others. I say we cannot move forward to a better place around wellbeing/mental health – or confidence in special needs provision, for that matter – without families and school as allies, friends and joint-responsibility acceptors. We are not in a good place with this are we? There is a feeling of deep anxiety around the mental health and wellbeing of so many of our young ones. We must accept the vulnerability that goes with this, lean into it and tackle it together. I am very aware that this blog offers little if nothing in the way of answers. On the contrary, it raises many more questions. The question in chief being , How do we, as allies, work for a better fairer, kinder, more socially just school system… society… world? We need leaders who are willing to look beyond the walls of their organisation to the needs, wishes, desires of their community at large, and to see how the current culture of power continues to marginalise and exclude some. As said, we cannot do this alone. And so, Simon Feasey leaves you with this question, Any answers? Grace, G. (1994) “Urban education and the culture of contentment: the politics, culture and economics of inner‐city schooling”. In Education in urban areas: cross‐national dimensions, Edited by: Stromquist, N. Westport, CT: Praeger. Lamb, Brian, Department for Children, Schools and Families (DCSF), corp creator. (2009) Lamb Inquiry : special educational needs and parental confidence : report to the Secretary of State on the Lamb Inquiry review of SEN and disability information. Reading this has thrown up more questions than answers but made me more determined that as a school we need to ensure we are equipping staff with the knowledge to help our pupils with mental health. Thank you Simon for this timely piece. I have no answers, but I wish I did! I did further studies in counselling skills along with my DHT, to try and support the ever growing needs of our community. It helped a few but the more we helped, the more issues kept arising, with no external support networks to draw upon. I was given a plaque by one parent, it said “helping one person may not change the whole world but could change the world for one person, thank you” I still treasure that plaque, which often motivates me to keep on keeping on! I absolutely agree and I am so thankful for the thousands of caring professionals who are all doing their wee bit, to try and help in any way they can. Thank you for this, Judy. It is a thorny issue, one that we must not shy away from. No easy answers, certainly, but I do see something in extending Grace’s notion of “complex hope” as we continue to do what we do day on day to connect with, listen to, and care for and protect one another. Just as you did and do.Equally so, fellow school leaders such as Bretta (above). In Daring to Dream: Toward a Pedagogy of the Unfinished, Freire urges us to ‘speak about … limits’ (p.64) and to discuss what can be accomplished ‘where’, ‘how’, ‘with whom’ and ‘when’ (p.64), and in the process to realise that our work as educators ‘is not individual, but social, and it takes place within the social practice he or she is a part of (p.64-5). 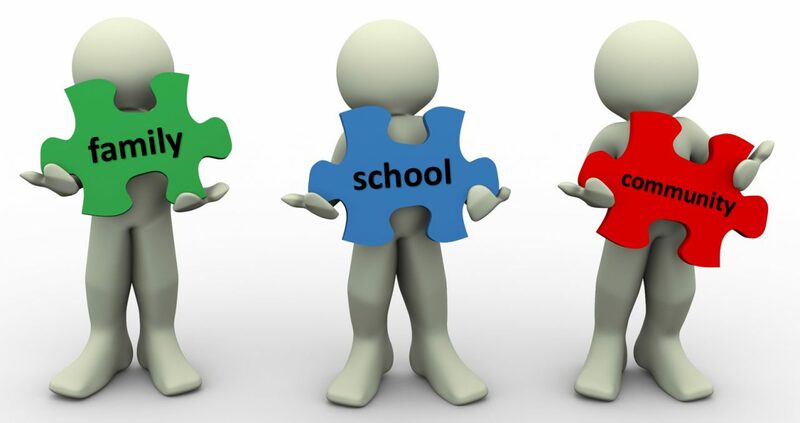 This is a great blog Simon that draws upon the key questions we too have bee debating in my own school regarding support for families and young people regarding the seemingl ever-growing mental health issues weface in todays society. I enjoyed contributing to the #UKpastoralchat you refer to as it really does matter and I feel passionately that this must become a more foued area of consideration at a governmental level in terms of financially supporting schools to meet this demand. The impact not only on young people but on society as a whole would be huge, although without continued efforts from us as professionals this will not happen. Thank you for raising these questions ans good luck in your search for the anwers…please keep me included in future discussions! Because we never lose sight of that young person in the middle. Further, we find it impossible to deny families the time and support they ask of us. And we do not, do we? Bretta is clearly pursuing a level of expertise at her school and investing in that. The Place2Be report confirms what we know, that schools worry about doing the right thing, for all the right reasons – and worry about picking up the tab but do so anyway. You are right, we should be receiving dedicated funding. The need is now.